Discover romance at our breathtaking resorts where luxury and beauty make your memories unforgettable. 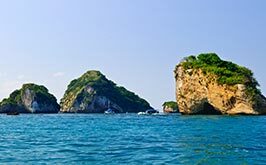 Explore five unique beach resorts with exquisite wedding venues and all-inclusive packages in Riviera Nayarit, Puerto Vallarta, Los Cabos, and the Riviera Maya. 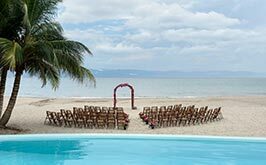 Exchange vows at our gorgeous resorts on Mexico's Pacific and Caribbean coasts. Walk down the aisle on a pristine beach in Riviera Maya on the crystal-clear sea. Say I do as the palm trees and ocean views create the perfect backdrop to your moment. Discover beautiful beaches, incredible dining and exciting destinations to tie the knot. 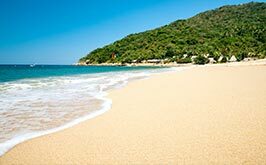 Blessed by the ancient Maya, this picture-perfect beach haven is a white-sand paradise on the Caribbean Sea. 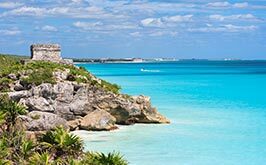 Relax on the sugary sands of Playa del Carmen, indulge in gourmet cuisine, enjoy a massage, play in the clear-blue waters and embrace its vibrant culture and nightlife. 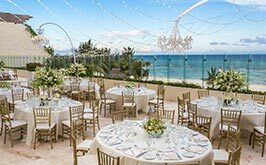 Framed by golden sand beaches, mystical mountains, green fairways, and the Pacific Ocean, this spectacular luxury resort offers all-inclusive wedding and honeymoon packages. 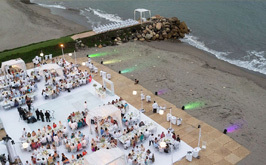 From barefoot ceremonies on the beach to elegant celebrations, your love story starts on the Riviera Nayarit. 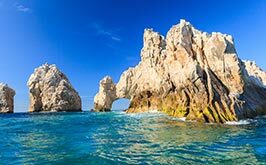 Eternity feels real on the tip of the Baja Peninsula, where the Sea of Cortez and the Pacific Ocean come together as one. 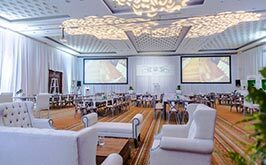 Immerse yourself in the tranquility of our sun-drenched beaches and gorgeous venues in Los Cabos, Mexico. Steps away from the emerald-green waters of Banderas Bay, this oceanfront resort captures the magic of Mexico's Pacific Coast. Feel the rhythm of the waves and savor serene views of the Sierra Madre Mountains. Celebrate your love at our adults-only hotel on Mexico's Pacific Riviera. Get married in this intimate oasis of romance surrounded by tropical gardens blooming with flowers. Play in the ocean,, relax on sugar-sand beaches, share romantic dinners, and indulge your senses at Casa Velas. Dreaming of a destination wedding in Mexico? 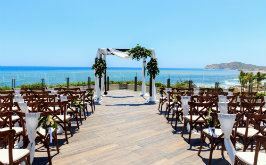 At Velas Resorts, we make it easy to plan the perfect weddings in Mexico - from the shores of Banderas Bay in Puerto Vallarta to the sands of the Riviera Maya to the edge of Los Cabos. Book one of our wedding packages or contact us to design your Mexico wedding celebration. It's all about you.